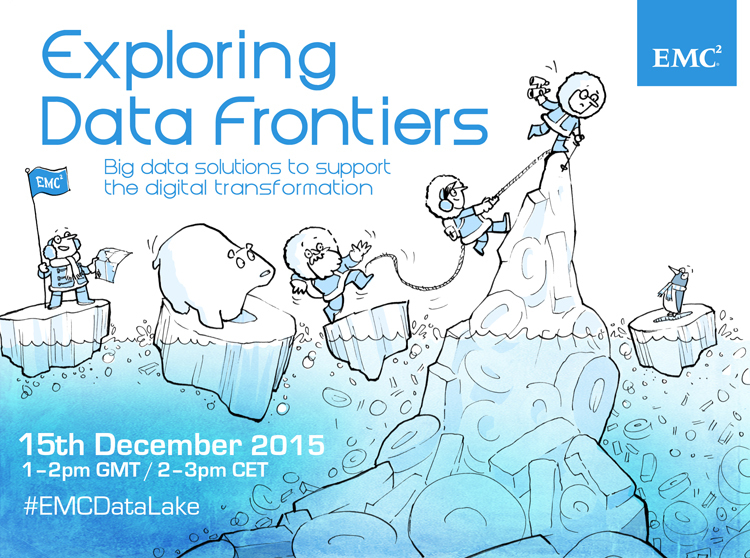 Discuss Data Lake & Big Data solutions to support digital transformation with our panel of experts. 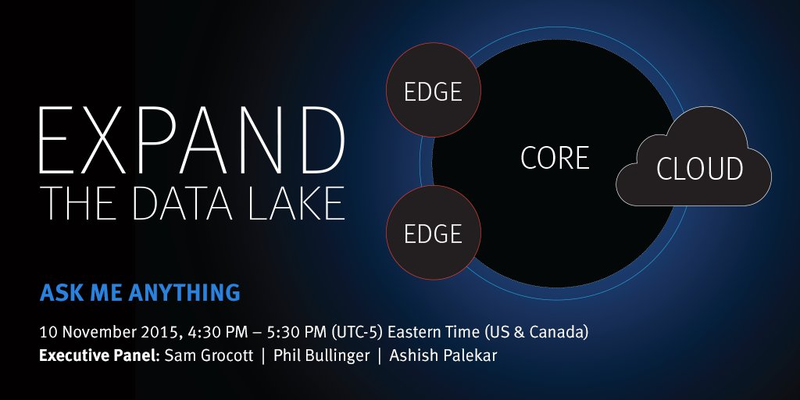 #EMCDataLakeAMA: Data Lake BreakthroughSpanning the Edge, Core and Cloud—EMC Data Lake experts take your questions! Looks like you're about to find out @thorerabe. Big data is lurking beneath. @rtjarvis Or maybe you skip a generation and go straight to predictive analytics? I'm beginning to see that happening in retail. @MarkASear I've just read something about using predictive analytics to prevent crime. Rather scarry, and reminded me a bit on "Minority Report". @MarkASear and without understanding descriptive and predictive how can you do the third generation (prescriptive). I need to be able to predict what will happen AND say why that will happen. is #bigdata really about "technology"? or the application? @MarkASear #BigData is a business need. Technology decisions come as a consequence. Quick question - which COUNTRY will truly be the first to leverage big data? Smart city? etc. There are pockets of innovation all over. Often this is affected by the local laws as well as talent. @stevengoddard definitely agree with you! question is are they all doing the same thing or approaching it all from a unique perspective? Yes - but they are cities. Not countries. A small, but vital point ..
Smart in what sense? The wider imperative for me with big data is to truly make the world a better place. Do you have access to your data? How quickly can you ETL? How important is real time insight? Love this! Which tools and skills for #bigdata exploration do we need? We are having an offline discussion here, as well, about big data not even being about tech, but about people. @SuzySpaatz people definitly need to know what data to look for. #BigData projects show up the very human aspects of ourselves: our ability to ignore data, and to need data sized down for us. People find it hard to know the right data. @NicolaiImset Yes, that would of course depend partly on your industry, customers or goals. #datalakes allow you to run analytics on your data without the need for ETL - vital in an environment where you want insights from everywhere! Interested to talk about what big data can and EMC can do for businesses. @jenstirrup What do they ask you about? @MarkASear lots of expectations around new opportunities and customer engagement indeed. @MarkASear but there are also opportunities for improving operations and gaining efficiencies. #BigData will be part of the conversation, whether orgs like it or not... the data 'problem' isn't going to go away. It should be seen as a promise, not a problem. Use @ to reply For that, we also introduced a “Thinking Like a Data Scientist” process that starts with identifying and understanding the organization’s top-level strategic business initiatives. I always tell people to start at the beginning. Understand what data they have. Then create a vision. Organizations need to embrace the power of “thinking differently! Inspiration often comes from a need or challenge. Same for businesses, I would imagine. #bigdata challenge! The potential of big data is only limited by the creative thinking of your business stakeholders! yes, I agree with @markasear. People often are further back from the starting line than they think. They don't have data understanding, and any data profiling is usually minimal, if any. @DinkoEror Indeed. If you always look for the same results you will always get the same answers! Set a visionary goal without worrying too much how you'll get there. All the best explorers have done that!